Indira College of Commerce & Science fought hard and even though they managed to equalize after being a man down, they couldn't capitalize on that as City College of Commerce & Business Administration edged past them to win 2-1. That concludes the proceedings of the first day of RFYS Football in 2019. Do join us again tomorrow as the Junior Boys and Senior Boys will be in action for the third time! The final match of the first day of 2019 begins on a good note for Kolkata's City College of Commerce & Business Administration as Amit Mandal strikes in the 7th minute against Pune's Indira College of Commerce & Science.Head over to the Matchcentre for details. 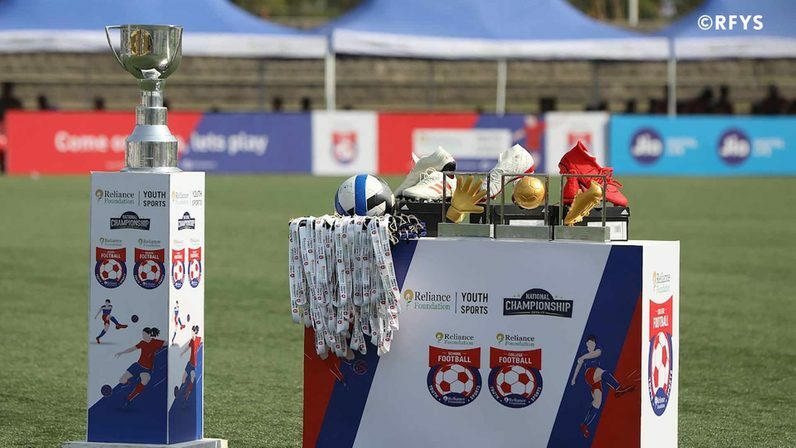 Anitha K scored 5 goals in the biggest margin of victory in the School Girls category at the RFYS National Championship as Coimbatore's Govt Girls HSS ran riot against Delhi's champions to win 8-0. Visit here for details. Robert Khongjoh starred with a brace in Shillong College's 2-1 victory over Guru Hargobind Khalsa College. 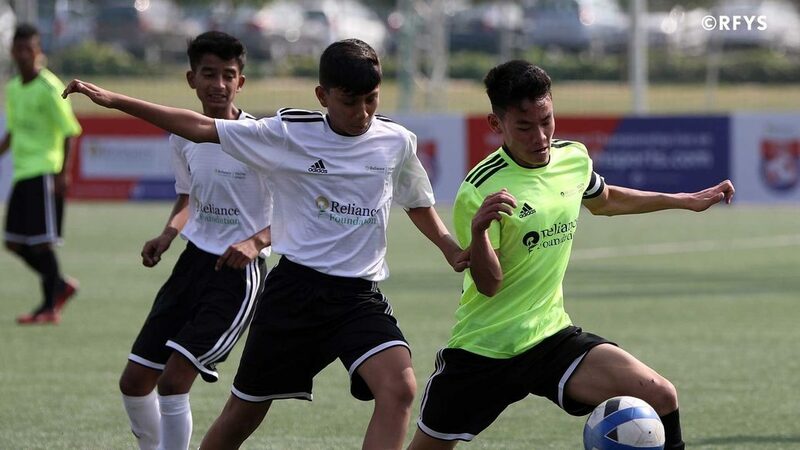 The Shillong boys played much better in the decisive 45 minutes and helped them consolidate their position in the RFYS National Championship. The School Girls clash between Anchalik Jatiya Vidyalaya and Shri Guru Harkrishan SSS is about to kick off! Shri Guru Harkrishan SSS head into the game with a victory in their opener against FR. Agnel School, while Anchalik Jatiya Vidyalaya were held to a 3-3 draw Government Girls HSS. SRM trailed Thakur College 3-1 at the end of first half. The former came out a different side in second half and showed immense determination to seal a point with a comeback. However, there will be a feeling in the SRM camp that they perhaps could even have won the game if not for the missed chances in the final quarter of the game. Thakur College have started the game at an electric pace and lead SRM Institute of Science and Technology by two goals with just over 25 minutes being played. Watch the game LIVE. Faith HSS made sure their opening day defeat is a thing of past as they started the new year in sensational fashion with a 5-1 victory over Our Lady of The Rosary School. To get a detailed report of the match, visit Faith HSS vs Our Lady of The Rosary School. Playing next are the city champions of Mumbai against the city champions of Chennai. Nirmala College look strong in attack and defend, as they head into the break with full momentum and three goals on the board. It would need a monumental effort from St. Wilfred College to pull off a comeback from here. Watch the second half Live. 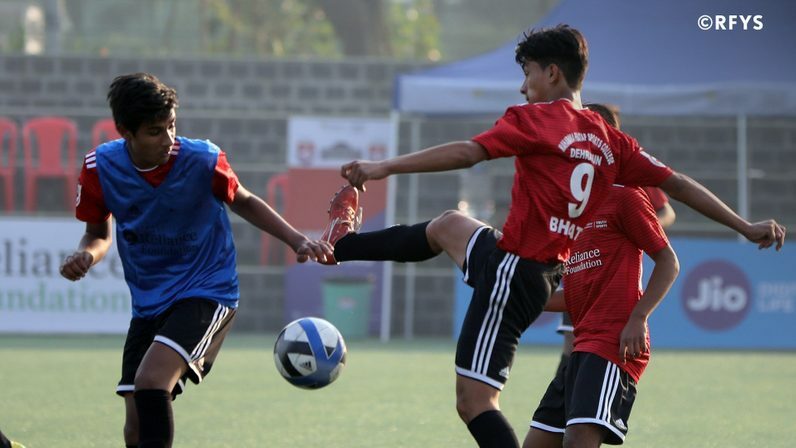 Serto Linda Kom’s hot streak in front of goal continued as she bagged another goal in Nilamani English School’s comprehensive 4-0 victory over Telangana Sports School. Taking the field next are the College Boys of Nirmala College and St. Wilfred College in a must-win game to keep their chances of qualifying for the knockout stages alive. Happy New Year to one and all. With a new year commencing, we start fresh on Day 4 of RFYS National Championship in Mumbai. Nilamani English School and Telangana Sports School will kick off the day’s proceedings in the School Girls category. Yesterday we saw defending champions Minerva Public School slump to another shocking loss. Thakur College’s perfect record was broken too as they succumbed to Gangadharpur Vidyamandir. For a roundup of matches from yesterday, visit National Championship Day 3 Report.